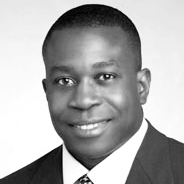 Edward Nwokedi is a Real Estate Advisor for Global Trust Group and the Senior Director of the Cushman & Wakefield’s Multifamily Advisory Group. Mr. Nwokedi brings 23 years experience of entrepreneurial, leadership, negotiation and technological skills. Mr. Nwokedi focuses on assisting clients with the acquisition and disposition of class A, B and C multifamily properties, as well as sourcing sites for new development. Mr. Nwokedi also acts as counsel to C&W on commercial real estate in Sub Sahara Africa. Mr. Nwokedi began his real estate career in 2003 and has proven to be a Houston market leader by consummating more than $800 million in multifamily sales. He was awarded the CCIM Institute’s (Certified Commercial Investment Manager) 2006 Rising Star Award. In 2009, Mr. Nwokedi reached the Top 5 production level for C&W’s Houston office. Prior to C&W, Mr. Nwokedi worked for Colliers International of Houston where he served as a broker in the Multifamily Investment Group. Having formed a partnership to strengthen the Multifamily Sales Division, and as co-partner and vice president, he led his team to successful negotiations for many prominent clients. He earned and MBA. from St. Mary’s College of California in Moraga, California and his BS from the University of Michigan.